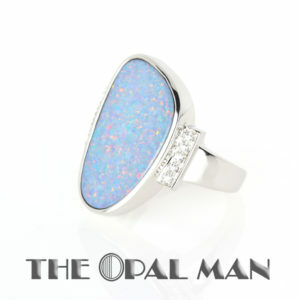 Home / Opal Jewelry Under $500 at The Opal Man / Tie Clip with Free-Form Ethiopian Opal. Sterling Silver. 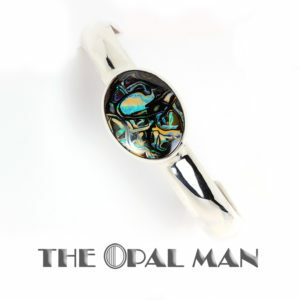 An Ethiopian opal with nice glow and rolling flash is featured in this classy, minimalist tie bar/tie clip. 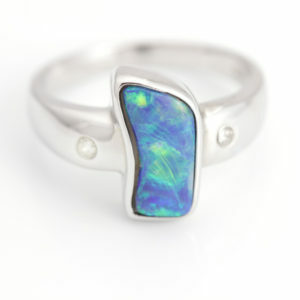 Split bezel setting elegantly displays the free-form opal. Polished sterling. 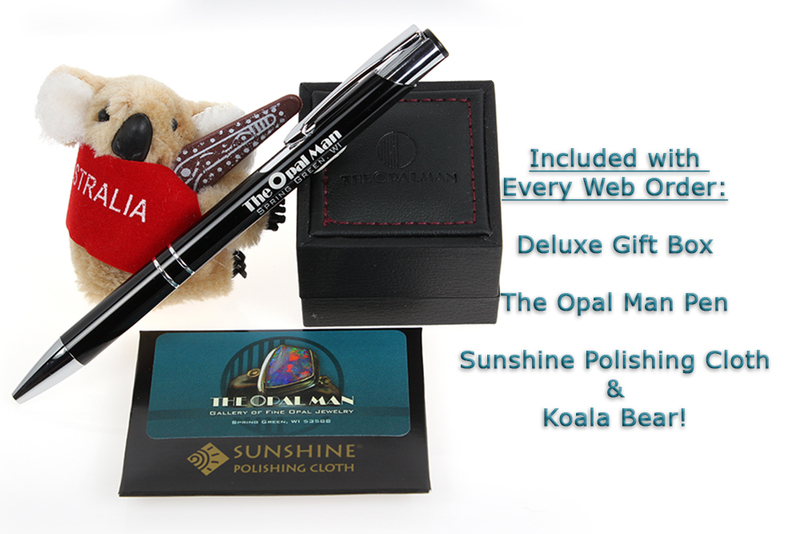 For the guy who likes a bit of understated flash.